This is a foreign exchange guide to Antigua And Barbuda, the East Caribbean Dollar currency plus XCD transfers and travel tips. Antigua and Barbuda is a nation known for its beaches, and a quick look at the map will tell you why that is true. Many of the beaches are in coves, protected from rough surf and perfect for snorkeling, diving, and other water sports. 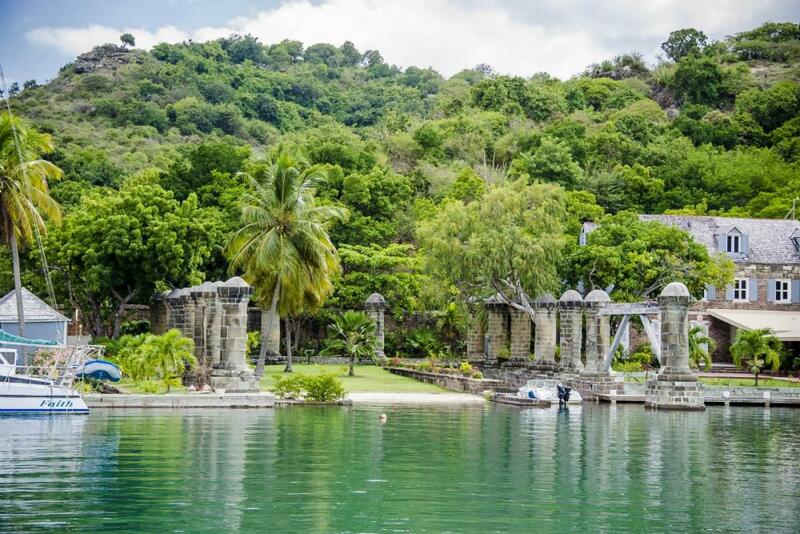 But Antigua (pronounced an-TEE-ga) offers more than beaches. Corrugated coasts cradle hundreds of perfect little strands lapped by beguiling enamel-blue water, while the sheltered bays have provided refuge for everyone from Admiral Nelson to buccaneers and yachties. If you can tear yourself away from that towel, you'll discover that there’s a distinct English accent to this island. 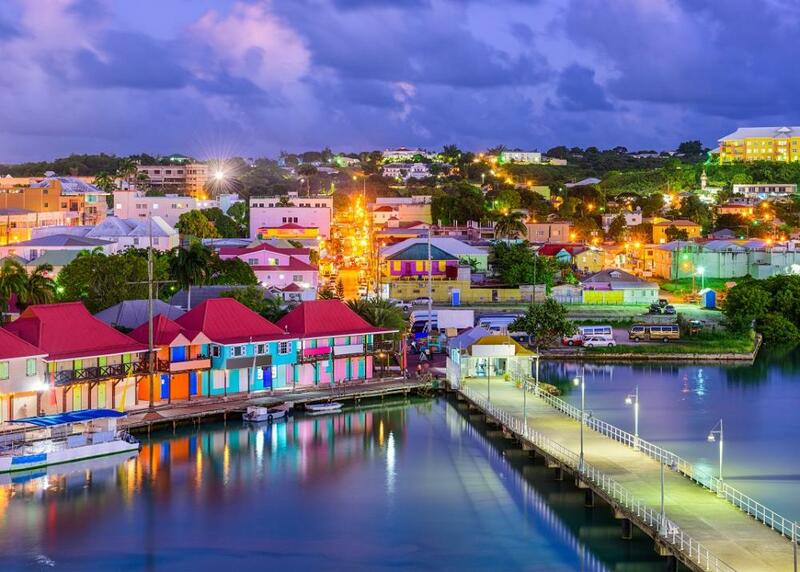 You'll find it in the bustling capital of St John's, in salty-glamorous English Harbour, and in the historic forts and other vestiges of the colonial past. Yet, Antigua is also quintessential Caribbean, full of candy-coloured villages, a rum-infused mellowness and bright-eyed locals that greet you with wide smiles. What currency to use in Antigua and Barbuda? Antigua and Barbuda's official currency, like many of the former British islands in area, is the Eastern Caribbean Dollar, EC$ which is pegged to the US dollar at around EC$2.7=1US. US dollars are accepted regularly (and legally) and generally prefered if not required. Credit cards are not always accepted, particularly in smaller establishments. Barbuda is the smaller sister-island to Antigua and far less developed. ATMs are scarce, though all major resorts have ATMs and all major credit cards are accepted in most establishments. Travelers’ checks are also widely accepted, but should be priced in American dollars. How to get around in Antigua and Barbados. There's a full public bus network, but it is very much geared to the needs of residents for getting to work, school, shopping etc, rather than to tourist destinations. That said, if you are staying on the west coast, you're on a main bus route both north into St Johns and south along the lovely chain of beaches. You can also use the bus system between St Johns and English Harbour, which works well for a lot of visitors. Hiring a car is an option but be warned Antigua’s roads range from smooth to rough to deadly. You’ll be cruising along when suddenly a hubcap-popping pothole or a speed bump appears. Smaller roads are often narrow with poor visibility, particularly on curves. If you plan to get off the beaten track (especially in the remote eastern part of Antigua), it’s best to hire an SUV or 4WD. Driving at night is even more dangerous since roads are narrow, street lights or reflector posts are nonexistent and most people use their blinding brights. Also be aware of people, donkeys, dogs, goats and other animals by the side, or on, the road. Taxis on Antigua have number plates beginning with 'TX.' On both Antigua and Barbuda, fares are government regulated with one tariff applying to up to four passengers. However, it's best to confirm the price before riding away. In Barbuda taxis wait at the airport or the ferry dock, but you may prefer to prearrange a transfer or an island tour through your hotel, the Barbuda tourist office or by contacting a driver directly. 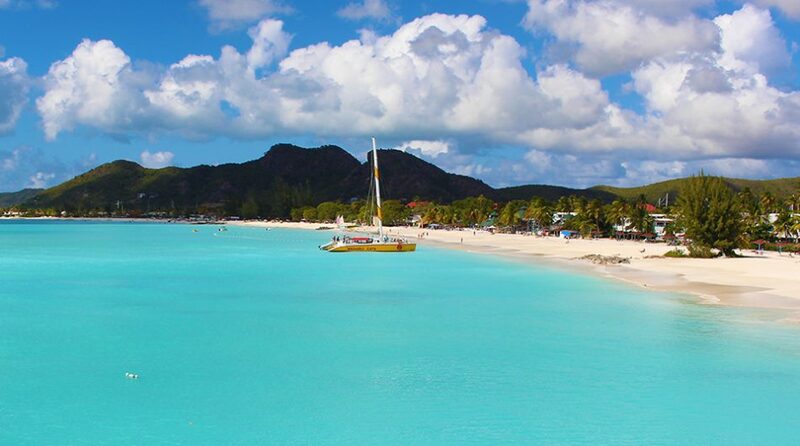 Travel tips for Antigua and Barbuda. Most Antigua and Barbuda residents speak both English and Antiguan Creole, which is heavily influenced by a number of West African languages. Visitors to Antigua and Barbuda require a valid passport, a return or onward ticket, confirmation of accommodation throughout the stay and sufficient funds for the duration of the stay. Departure tax is now included in all tickets and therefore there are no additional fees when leaving Antigua. The best of Antigua’s beaches are the deserted stretches of sand in the south-west, beyond Jolly Bay. Day sails are always popular – take a trip to Rendezvous Bay in the south, the offshore islands of the north east or a sunset cruise along the west coast. Harmony Hall (open in the winter season) is lovely, lazy lunch with a view. If you tour St John’s, make sure to end up in the restored Redcliffe Quay for a drink. When searching around for information on how to get a good exchange rate when sending money to Antigua And Barbuda you need to start with finding out the latest East Caribbean Dollar foreign-transfer exchange rate. Once your funds are received by the provider the converted XCD amount will be transfered to the recipient account you specify in Antigua And Barbuda.